Fresh Intel on World Changes and World Reset Financial. Just Recorded!! 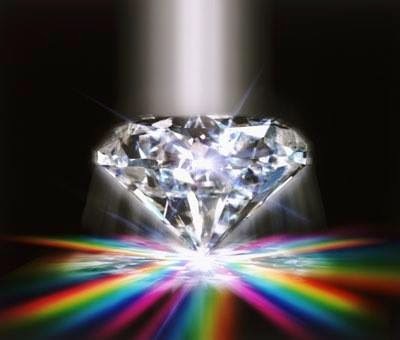 Mondays & Thursdays (Every Thurs) Diamonds Forever 31 13 Show: Dedicated to Cynthia, Maryann, Mer: Astrology "Learning Who You Really Are" and helping YOU build the foundation of that. Opposite Thursdays Elizabeth Diamond & Candy Shop candy: "Learning who YOu Really Are with Galactic and beyond!! Will anyone actually ascend on this date? Yes! Any light being who is already vibrating close to the 5D frequency of 21 Hertz will pierce through the protective 5D barrier know as “The Great Void” and will be able to experience a sustained perception of the New Earth at this great moment in our history. Many beings do not realize that this new perceived reality, the new Earth will still be inside a hologram-matrix, however it will be a greatly improved one over the old control grid we have known for over 300,000 years. The new Earth is still a perceived hologram because being inside a hologram is the only way a soul can be physical and experience the 5 senses. The physical part of all this is still vibrating in the 3rd dimension, but think of the 5th dimensional level as being overlayed on top of 3D. The only way to not exist in a holographic matrix, no matter how controlling or heavenly it may be, is to become non-physical. 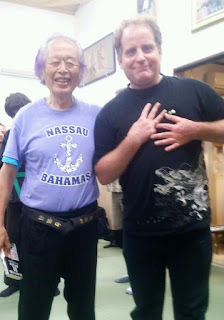 You have incarnated here over and over for the purpose of evolving back to your higher nature, but the real reason you keep coming here and will stay here is because you love being physical and experiencing the 5 senses. If only you had a better environment to do this, everything would be perfect! That is what is about to happen! At the same moment you are experiencing your 3D senses in a 5D light matrix you will be able to move into your light body (The Merkaba) and be able to navigate in the higher realms with no limitations. “Behold, I saw a New Heaven and a New Earth”. These two things are not the same. The New Earth includes 3D, 4D and 5D and the New Heaven is dimensions 6 through 12 that you can only traverse in the light body. It’s like this, you are not leaving 3D! Instead you will continue to exist in 3D, 4D and 5D in the same time-space (now here) and you will be fully aware of your experience in each dimension. We are currently experiencing a steady bell curve in gamma light frequency increase as we move into the most intense part of the photon belt so see if you can be aware of its effects on the body, mind and emotions over the next two months! This is no bad thing and certainly nothing to fear as these new data frequencies bombard the earth and its beings! There will be a level of chaos as this new photon data enters the matrix and is integrated, but its after effect will be the gradual transformation of the old control matrix hologram into the new crystaline grid matrix and is what we have worked towards for so long and want to see happen. We assure you all that is happening is as it should be, and is a clearing of the old energies that you have held onto so strongly. These lower frequencies have to be transmuted so this divine wave of light and love can flow through the body and ground into the core of Gaia. It is impossible to take the lower frequecies of repressed emotional trauma and errant DNA programming (limited belief systems) into the higher dimensions! These old trapped trauma energies must be released from the body so the light data can flow completely through you and be grounded correctly. This completes the divine circuitry that makes you the super being you truly are. We say that after the first-wave twin flame keyholders go through the 5D veil, they will begin their real work as male/female teams in the greatest service to others, helping the rest of Humanity cross the great Rainbow Bridge. Love God with all your heart, mind and soul and this is the secret to entering The Kingdom of Heaven.We ask you who the identity of this great God is? Love yourself with all your heart, mind and soul! There is no other work to do than this! The mainstream media has been releasing an enormous amount of UFO, secret space program, and exoplanet related information with increasing intensity over the past year. The shift in thinking within the dogmatic institutions of science alone is enough for even the most close minded to acknowledge. RT news released the following video of an 'Alien swarm' on the 27th of this month. On the one hand we can not absolutely confirm that these unidentified objects are in fact ET craft or part of the secret space programs on Earth, but the affect on consciousness is very real. The average Joe is being given a great deal to think about with these types of reports. This ONE is ON The Secret Space Program and More!! You will "thank us for Helping You!! and We Will Thank YOU for helping us!!! 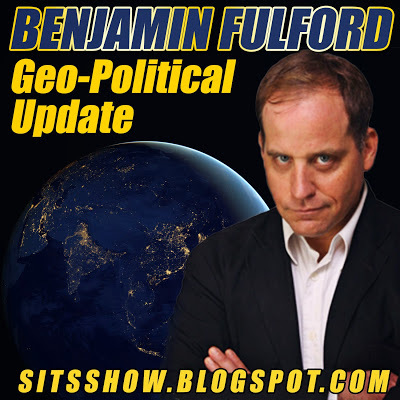 Ben issued 2 reports this week, his usual geopolitical update as well as a clarification. The clarification is in full below. Related Benjamin Fulford - July 20th 2015: The cabal is being systematically dismantled so “Just watch as it unfolds,” Pentagon says. In the Ukraine, meanwhile, the Russians have accumulated over 2500 pages of war crimes evidence against the Khazarian Nazi Ukrainian regime. The Pentagon is helping dismantle the Nazi network in the Ukraine in exchange for Russian help in the Middle East and Iran. That is why there were reports of military attacks against the Nazi army in the Ukraine last week. Needless to say, States Department Nazi Victoria Nuland and here Khazarian bosses are in deep trouble and will be headed for jail as a result of their criminal actions in the Ukraine. Benjamin Fulford - July 20th 2015: The cabal is being systematically dismantled so “Just watch as it unfolds,” Pentagon says. Update - The full text has been added below. This post will be updated in full after 3 days have passed from the initial release. One big issue has been the Japanese government’s decision to allow the Japanese armed forces to participate in defensive overseas military campaigns. This is part of an ongoing Pentagon move to try to create genuine world peace by joining all the world’s defense forces into a single planetary defense and peace-keeping organization. The Russians, Vietnamese, Japanese, Australians and others are already in agreement with this. This force will not be used for illegal colonial wars of aggression and occupation. Nonetheless, the Chinese, Indians and others are waiting for international organizations like the UN and the World Court to stop being instruments of Western imperialism and to become genuine representatives of the people of the world before they are willing to cede any more sovereignty to supra-national organizations such as a world peace keeping force. In other words, there is a genuine interest in world peace, ending poverty, stopping environmental destruction and starting a new age but, there is no consensus for a fascist New World Order. A Brief filed in the United States Supreme Court just this April by Houston area Doctor John Parks Trowbridge, MD, destroys IRS jurisdiction in the District courts. The brief has been filed in response to the ongoing cases and continual harassment endured by Trowbridge at the hands of the IRS who violated his rights and seized his property. The brief is unprecedented for several reasons, but the biggest is that Trowbridge cites only Supreme Court rulings in his brief, leaving no room for debate over the rulings which back his summations. The brief demonstrates clearly and conclusively that the “United States District Courts” that operate in every state and hear both Civil and criminal cases — most notoriously IRS “failure to file” Cases — do not have lawful jurisdiction to do so. As such, this Brief could put the illegitimate courts into a tailspin. Everyone should spread the word about this exciting case, the more people who know the truth, the better. It will be interesting to follow this case and this brief should be read and understood by every American, because the truth is always RealGoodNews to know!